Even the smallest of weekly newspapers can get inundated with requests for work experience. It means that in any given year 10 or 20 - perhaps even more on the bigger papers - wannabe reporters are coming through their doors. Contrary to what you may be thinking (but not always) it is not purely an exercise in free labour. Believe me having dealt with the trail of destruction some trainees can leave behind it is often easier to do without them. 1. Almost everyone offering it will have done it themselves. It is the tried and tested method and they like to impart some of their own experience to the next generation. 2. It is part of the paper's "community remit". With budgets slashed to nothing it is a way of offering something extra to the people they serve. 3. They are looking for talent. That's right, they can even be looking for bright young journos (such as yourself). 4. They need someone to churn out a dozen nibs, make tea and generally be a dog's body for a week. Now reasons 1, 2 and 4 are all very laudable. It's No. 3 that we need to concern ourselves with. Bearing in mind a news editor can see so many trainees you will need to stand out from the crowd (let's call them people who haven't read this blog). So how do you do that? The answer is pretty simple... Make the news/editor's life easier. If you've been following this from the start you will have read tips 1 and 2 (I'm sure you can look them up yourself without need of a link). If you've read the paper for a few weeks you should have a pretty good idea about what's going on in the local area, the topics they are interested in and gaps that aren't being filled. The next thing to start doing is finding those stories - and that's before you go in. 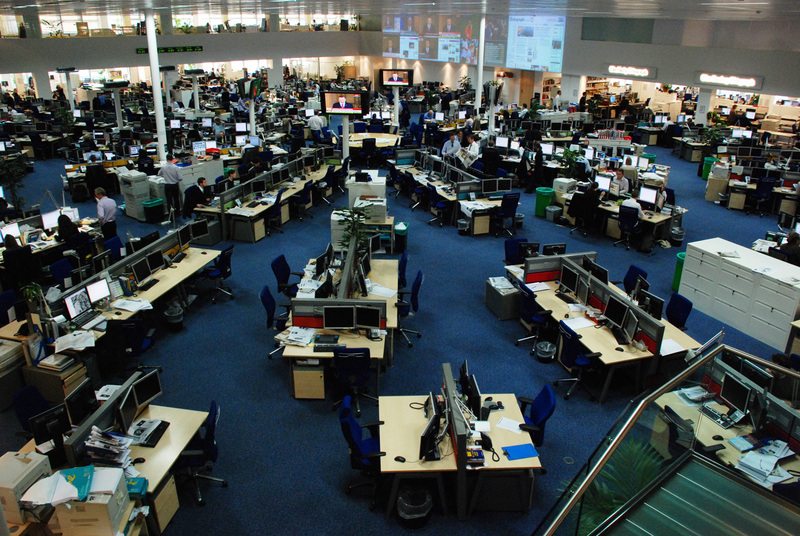 If you've never been in a real life newsroom before they can be daunting. The chances are you will start on a Monday and finish on a Friday. So far so normal. But unless you are working on a daily or a weekly that comes out at the end of the week you will get a rather disjointed view. For a start if the paper comes out on a Wednesday the reporters will be working to deadline. You won't see the process gearing up... it will be geared up. They will be busy trying to find a splash (front page) or chasing around after last minute quotes or trying to make the dang fool of an editor's "great" campaign - thought up over a tea and a biscuit 20 minutes before - become a reality. Sure they will try and throw you some stuff and take time out to go through it (if you are lucky) but, on the whole, they simply won't have time. You will certainly not their main priority. This might be an altogether different story if come day one you walk in with that page 3 story that everyone was looking for two hours before. If not, sit in a corner and expect to be largely ignored. Until Wednesday, with deadline passed the collective sigh of relief let's everyone relax for five minutes and even get around to asking you your name. But that's only half the story. You may finish your week, if you are lucky, with experience of a newsroom, a couple of bylines, a notepad filled with squiggles purporting to be 15 words a minute shorthand and little else. 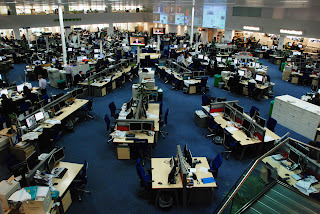 Your week is up and you never see anyone in that newsroom ever again. That, after all, is what most people do. Now think about it differently. This is the first stage of getting a job. Perhaps not this week, nor next month, maybe not even next year but you are feeling for an opening. Firstly, you will know who to speak to when pitching a story. Secondly, you will have a good idea of when the news editor is busy (not a good time) and when it is quieter (a good time) to speak to them. Thirdly, you will have direct contact numbers for the people involved. Finally, they will have an idea of who you are when you are talking to them - and will give you some time. For every story that makes the news editor will look kindly upon you, shine a little light in your direction, offer you more work experience and at some time in the future will advise you on any jobs that may be coming up ahead of the crowd. And if you are very useful may even give the editor a nod in your direction. So instead of treating a week's worth of experience as a one off look at it instead as the start of a new and useful relationship with a newsroom. After all the whole point of being a journalism student is to get a job in the trade. That is unless you really have more money than sense.